This vintage inspired sterling Taxco earring set boasts an exquisite elegance in the form of a deco floral design that has been accentuated by a cut out shadow box finish – artistic excellence!! Each piece measures approximately 1 3/4″ tall x 3/4″ wide at their widest point, and the combined weight of both earrings is 25 grams!! This set is pierced in style ? exceptional artistic work!! 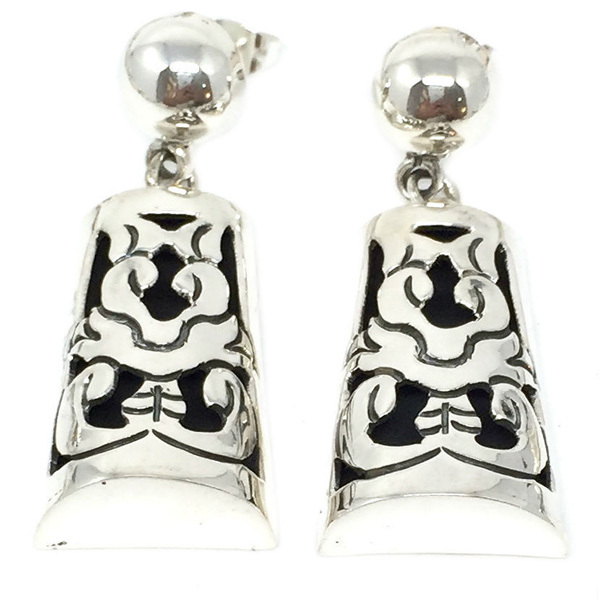 This earring set is hallmarked “Mexico 925 TC-45”.